Baby Food Allergies - How to Avoid Hives and Rashes? 1 What is Food Allergy? 2 How To Identify A Food Allergy? 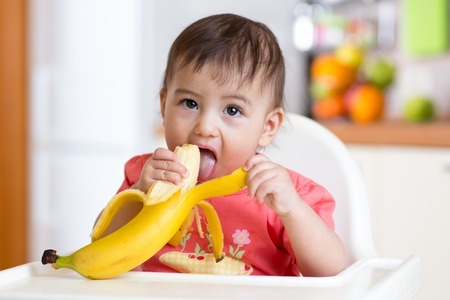 When you start your baby on solids, there will be a number of foods that he is introduced to and any one of them could cause an allergic reaction. So it is best to introduce any new food you plan to one at a time. Giving three or more new foods at a time may lead to an unwanted reaction and you will never know what caused it. If your little one develops a stomach upset or vomiting after a food, it may not always be an allergy and could be just difficulty in digesting the food. Seasonal allergies also need to be ruled out. Food allergies are distinct from regular seasonal allergies and you will know it once you feed your baby new weaning food items. How To Identify A Food Allergy? When your baby takes a food item that he is allergic to, the body will treat it as a foreign material and initiate an immune response against it. The histamine that is released is responsible for causing the child allergy symptoms. These may be mild itching to severe anaphylaxis reaction. The baby allergy symptoms begin in the form of tingling and itching of the lips, ears and mouth followed by appearance of itchy red blotches on the skin. In many cases the food allergy can present in the form of eczema or diarrhea and vomiting. Some allergies are inherited from the parents and children tend to show a similar set of symptoms. The allergic reaction may be a resultant of a reaction to one food item or simply the presence of nuts in a cookie or chocolate bar. There is one identified food allergy that is seen mostly in babies. It is called FPIES (Food Protein Induced Enterocolitis Syndrome).The symptoms are like gastroenteritis and the baby has severe diarrhea and vomiting leading to dehydration. The cases are uncommon but the presentation is usually severe. There is no diagnostic test for this problem and most of the cases will resolve by early childhood. The commonest allergy that is seen in the first year of the baby’s life is milk allergy. 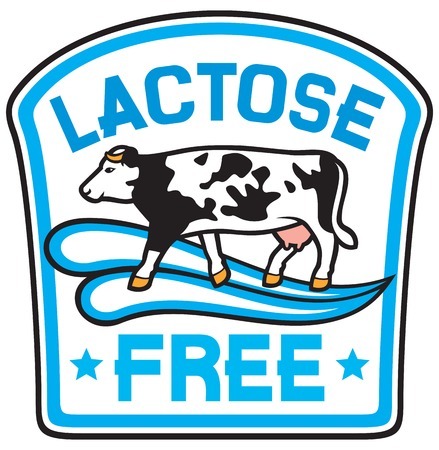 It is an allergy to cows milk or soy in formula and at times to the milk proteins present in breast milk. Once the baby starts taking solids, food proteins could be responsible for causing the allergy. There are many foods that could be the source of allergens but among all of them, there are 8 foods that have been identified to be the culprit in 90% of the cases. If you are able to identify food intolerance, talk to your doctor and he will be able to provide you with alternate foods that you could give the baby. If you notice the allergy in your baby for the first time, it is likely to be mild in nature. Allergy to milk and eggs usually goes away as the child gets older but those to peanut allergy, shellfish etc have a tendency to stay and they can be seen even in adult life. The food allergies that develop within hours after eating should be investigated by an allergy specialist to isolate the cause of the allergy. Food allergy testing for babies is getting more and more common these days. If the symptoms of the allergy are just related to the skin then you should contact your pediatrician to get symptomatic treatment for the same. But if you notice more severe symptoms like swelling of lips, difficulty in breathing and vomiting then you must call for emergency help. The reason behind this is that the airway of the baby can get blocked very fast as the mucosa in the throat swells up. Such cases need immediate medical intervention. In severe cases where the allergy tends to come on very frequently like in gluten allergy, the doctor may suggest to use an epinephrine auto injector where by the exact dose of epinephrine is injected in the body to contain the allergic reaction. This is a complicated mode of treatment and is to be used only in severe cases. The child should always wear an identification jewelry that indicates that he has an allergy. All the people involved in taking care of the child like baby sitters, nanny, school teachers and grand parents must be aware of the signs of allergies and the foods that cause it. The best way to prevent these food allergies in babies is to give them potentially allergic foods like eggs one at a time and not in combination. The same foods should be given for three days in a row to rule out the allergy. The child should not be given cows milk till the age of one. If you feel that you are allergic to a particular food, avoid it when feeding your child as the irritating protein may pass on to the baby via the breast milk. Breast feed your child for as long as possible because the protective antibodies in breast milk help in preventing allergies from cropping up.